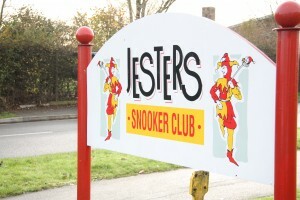 Jesters Snooker Club is situated in the Greenbridge area of Swindon not far from the town centre, with plenty of FREE car parking. The club opened in October 1990 and quickly built up a reputation of one of the biggest and best clubs in the south, this supported by World Snooker hosting their Challenge Tour events at the club for 5 years. The layout of the club with it’s 22 full size Riley Snooker tables, 1 Pool table, Darts area and spacious lounge bar blends perfectly for a relaxing and friendly atmosphere for all Snooker payers. The club offers membership for all ages at very reasonable rates, you can however sample the facilities by being signed in as a day member. The club runs junior group coaching sessions Saturday mornings from 10am -12pm, other coaching is available for all ages by our EASB, IBSF & World Snooker certificated coaches. club opening hours, 10.00am till 23.00 pm every day.